Dr. Robert Rioseco is excited to receive his AACD Accreditation at the 35th annual American Academy of Cosmetic Dentistry Scientific Session in San Diego, California. Becoming an AACD-accredited cosmetic dentist is a tremendous achievement that distinguishes Dr. Rioseco as being among the top in his field—locally, nationally, and internationally. Dr. Rioseco is the only dentist in Westchester County to have completed the AACD accreditation process, and he is one of only eight dentists who will be receiving accreditation in 2019. The ceremony takes place annually during the annual AACD Scientific Session, which is one of the largest gatherings of cosmetic dentists in the world. We invite you to join us in congratulating Dr. Rioseco on this incredible honor! It took Dr. Rioseco 11 years to achieve AACD accreditation and he is thrilled to have reached this momentous milestone in his career. He is looking forward to seeing his colleagues at the upcoming AACD Scientific Session in April, enjoying lectures and presentations, and celebrating with the other newly accredited members! 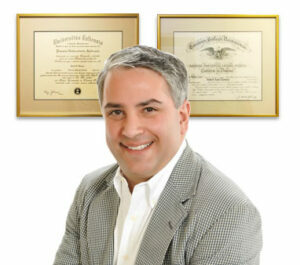 For more information about Dr. Rioseco and the treatments he offers, please contact the Center for Cosmetic Dentistry!